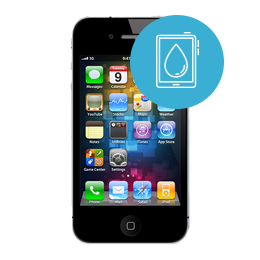 The iPhone 4S water damage repair service includes taking your device completely apart and utilizing our state of the art water damage machine to clean the board. If you have dropped your iPhone 4S into liquid and your device is not working, this is the repair for you. All our cell phone repair services include a 90 day warranty on parts and labor. RockIT Repairs will fix and ship your device back out within 24 hours of receiving.